Science: Living things and their habitats. Animals including humans. Artists, architects and designers in history. make Roman mosaics. We have all had a lovely time as we have settled into Year Four. Our novel, Krindlekrax, is keeping us all on the edge of our seats! So far we have studied the characters in the story to create our own. We have also been learning how to use our senses to describe a setting for our story. We have learnt about story structures and have used this to create our own. 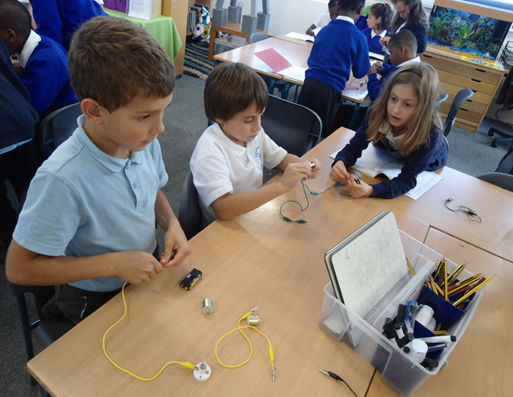 We are looking forward to building our own Lizard Street and lighting it up using the knowledge we have gained through building circuits in our science topic, 'It's Electric'. 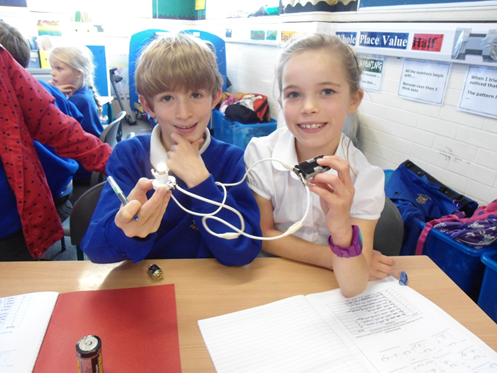 So far we have experimented with designing and testing how circuits work. Our trip to the Science Museum is looming and we are eagerly waiting to see the energy galleries and explore the Launchpad. This term we have been looking at stories from different cultures and compared poems by the same author. Our core text Journey To Jo’Burg has given us many opportunities to learn about other cultures and also about the history of Apartheid. The children also had the opportunity to read and discuss several poems written by Robert Louis Stevenson. In Mathematics both classes have completed work on multiplication and division shape and measurement. The pupils are anxiously awaiting their outdoor maths learning activity where they will be focussing on area and perimeter. This term we have experienced our first Science focussed day! We learnt all about forces and did some explosive experiments that surprised and amazed. The children had the opportunity to plan and take part in their own experiment relating to air pressure, where we popped a canister filled with half an effervescent tablet and water. The children also looked closely at friction and created their own balloon driven cars in small groups. We decided to take maths outside this half term and took to the playground. We were focussing on finding the area and perimeter of bricks, playground markings and windows. The children used meter rules and 30cm rules to find the length and width of objects and recorded their findings to later work out in class.